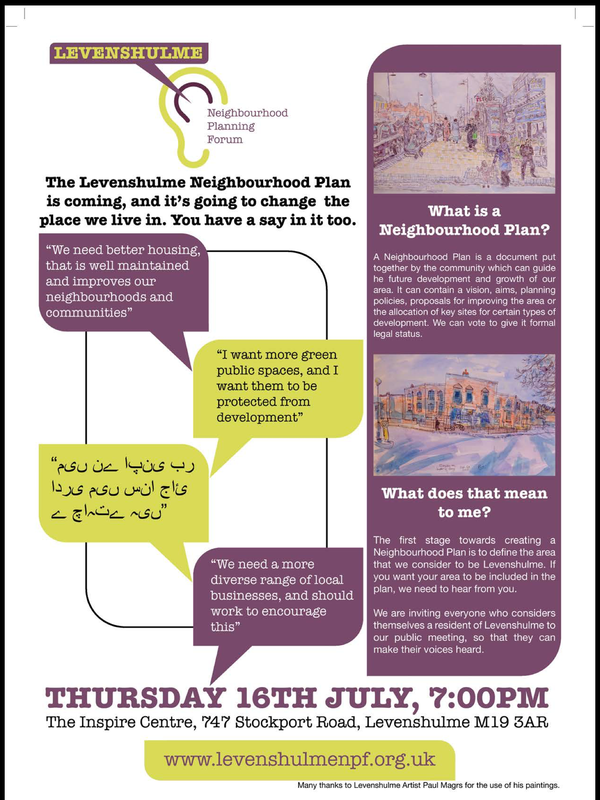 The next meeting of Levenshulme Neighbourhood Planning Forum will take place on Thursday 16th July 2015, 19.00 at the Inspire Centre on Stockport Road. The meeting will consider and agree the area defined for the Forum, constituting the Forum as a group and electing the first committee members to help take the idea further and make the Forum a reality. Exciting steps to move forward and formally establish a Forum so that the people of Levenshulme can have a direct influence over what happens in our area. 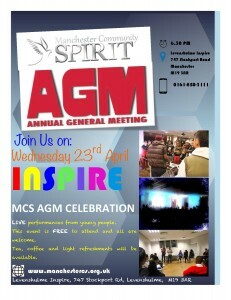 The Levenshulme Youth Project AGM will take place at 18.00 on Thursday 25th June 2015 at the Inspire Centre on Stockport Road. Drop in to find out more about their summer programme and if you are interested in volunteering. People with Pets in Poverty is a new charity to help homeless people and their pets. 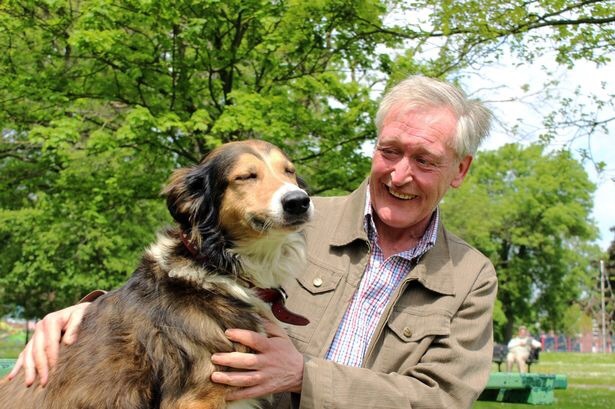 Colin Alcock will launch People With Pets In Poverty later this month and aims to roll out a variety of schemes over the next five years. Colyn’s main aim is to help rough sleepers and the ‘hidden homeless’ which includes sofa surfers and people in overcrowded accommodation, hostels and night shelters. Under the Home and Dry programme, PPP will provide safe accommodation for homeless people and their pets by paying the first month’s rent and deposit while providing a guarantee to landlords against damage caused by pets. In exchange service users must follow a recovery programme which could include counselling and a detox scheme. “To a homeless person a pet is a guardian protector, a best friend and someone who will never judge them and always be pleased to be with them. The first PPP meeting will be at Fred’s Ale House, Levenshulme, on Wednesday June 24, from 7.30pm. All are welcome. 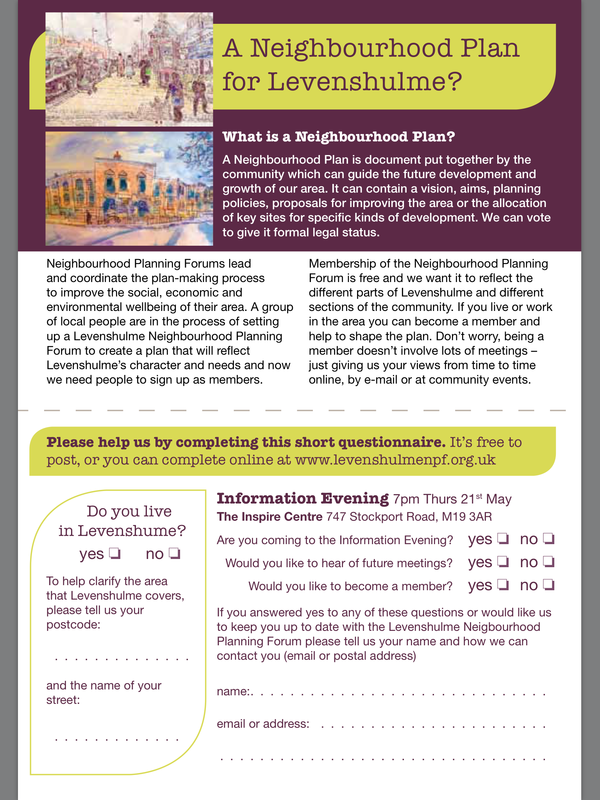 Following the recent information evening the Levenshulme Neighbourhood Planning Forum group are holding a meeting to talk about how to progress the Levenshulme Neighbourhood Planning Forum and look at how Northernden Neighbourhood Forum have established and run their Neighboruhood Forum. Graham Pheby from Northernden Neighbourhood Forum will be attending to talk to us about their experience in setting up and running a Neighbourhood Forum. It is a little unfortunate the article advertises the fundraiser on Friday 29th in an article published on Saturday 30th but any coverage is very welcome. 1 The new baths and library facility is scheduled to open in Spring 2016, not Autumn 2015. 2 Levenshulme High School never took over the building. The school simply rented the space to use for part of the week. Local campaigning was essential to ensure the library stayed open as a library until the new facilities open. 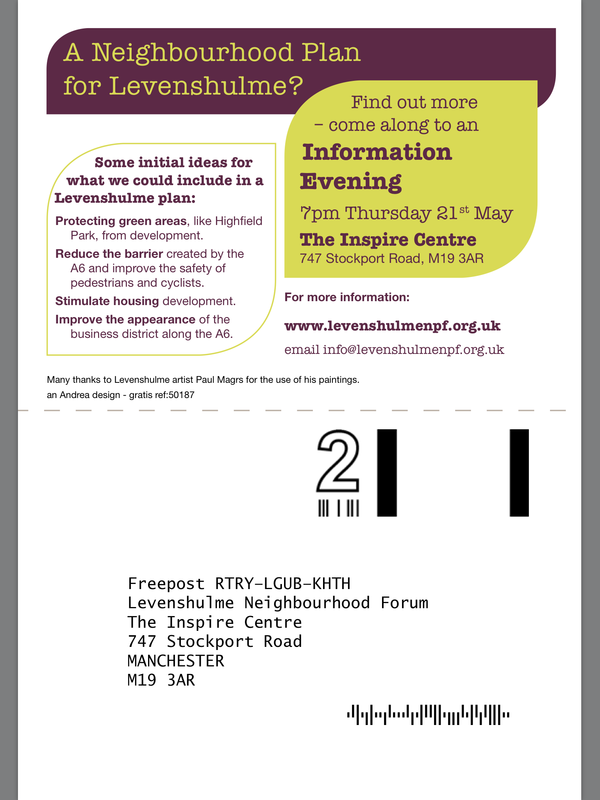 A new Neighbourhood Planning Forum is being proposed for Levenshulme. This is a community group that develops a Neighbourhood Plan for our area that would identify our priorities and key concerns regarding planning and development in our area. 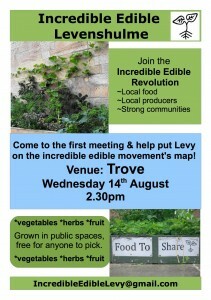 Anyone who lives or works in Levenshulme is welcome to come along. 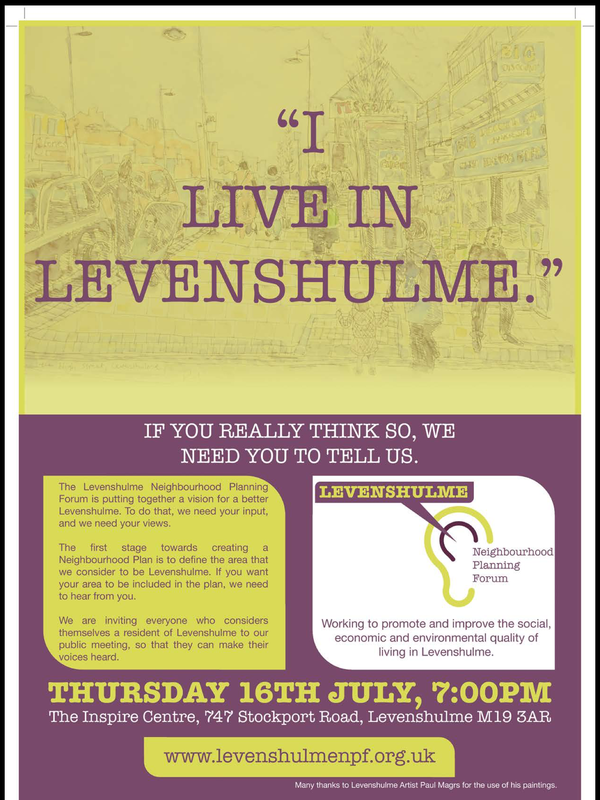 There will be experts from Locality who will make a short presentation outlining the process but the bulk of the evening will be for people to ask questions and find out what this is about and how Levenshulme can benefit. An information leaflet and feedback form (see below) is being distributed that provides initial information and asks for your views. If you haven’t received one yet they are available at Inspire on Stockport Road and Levenshulme Library on Cromwell Grove. 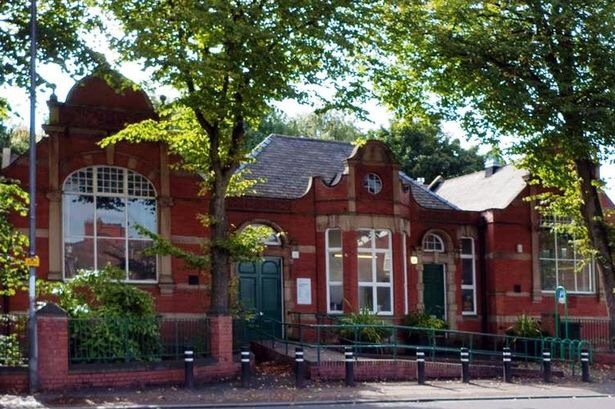 There will be a fundraiser to raise money and interest in the campaign to have Levenshulme Library converted into a community centre once the library service moves out next year. Friday 29th May at the Klondyke club. Please come along, meet nice people who care about our community, have a good time and show your support. The Friends of Highfield Country Park will be meeting at 19.00 on Tuesday 12th May at the Baptist Church on Elmsworth Avenue. Anyone who uses the park is welcome. 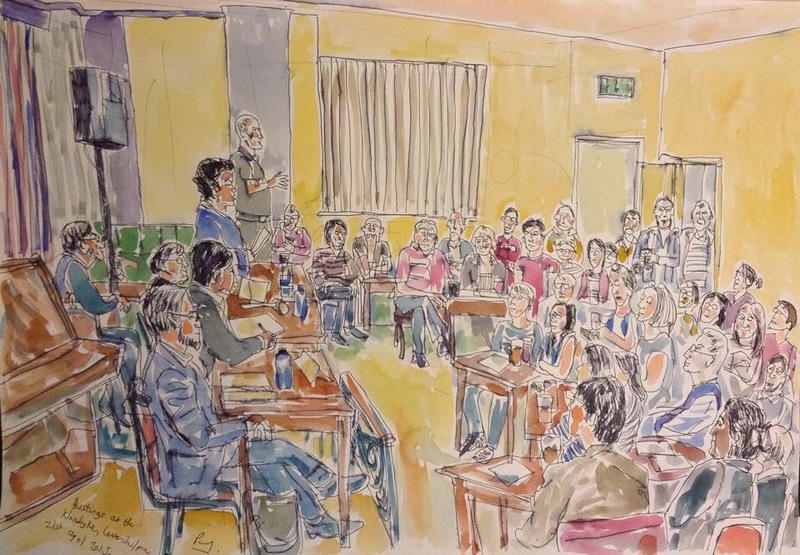 The marvellous Paul Magrs did a painting of the Levenshulme hustings organised by the LCA at the Klondyke. Have fun seeing who you can identify in the crowd. The hustings for the 2015 elections start tomorrow. Everyone is welcome. Sir Gerald Kaufman MP (LCA Honorary President) was generous in his praise of Levenshulme’s diversity, initiative and identity as a fantastic place to live and work. He was particularly impressed with the strength of the LCA and the many other community groups across Levenshulme. He stressed the importance of having active and engaged residents that form the basis of a cohesive and mutually supportive community. strengthening, developing and promoting Levenshulme as a great place to live, work and play. LCA Officers and the Core Group will develop these ideas into firm proposals and practical priorities for 2015-16. We are grateful to the support and hard work of the many groups that we collaborate with in Levenshulme and look forward to another positive and productive year for the benefit of all Levenshulme residents. The Annual General Meeting of the Levenshulme Community Association will take place at 14.15 on Saturday 14th March at Levenshulme Library on Cromwell Grove. The AGM will receive annual reports and hold elections to the posts of Chair, Secretary and Treasurer and the ordinary positions on the LCA Core Group. There will also be time for discussion of regular business. The next LCA Community Forum will be held at the Klondyke next Tuesday 17th February. Doors open at 7:15. Meeting starts at 7:30. We expect to be joined by Gary Bridges who is the Site Manager for Laing O’Rourke at the new baths and library site on Stockport Road. He will be ready to answer everybody’s questions – so please come prepared. There will also be time for people to raise concerns of their own about things in Levenshulme. The LCA Community Forum is a new initiative introduced by the LCA last year. These are open public meetings for everyone in Levenshulme – residents, businesses, landlords, community groups or anyone else – to find out what is going on and raise questions about our area. The next General Meeting of the Levenshulme Community Association will take place on Saturday 13 September at Levenshulme Library starting at 14:15. The Levenshulme Community Forum public meeting will take place on Friday 25th July, 19.00 at the Klondyke Club (1 Burnage Range, Levenshulme). The meeting is about the future of our current library after the library moves to the new Arcadia building in 2015. Other issues can be raised as well. The focus is on ideas for the library as a community facility but this is an open public meeting for all residents of Levenshulme so bring your ideas and issues along. The current ward co-ordination meetings, which are held quarterly during working hours and are attended by the Levenshulme councillors and council officers, will now be closed to resident groups. In order for there to be more accessibility and interaction between all groups and associations within the Levenshulme ward, it is proposed to hold a Levenshulme Neighbourhood Networking Forum in January, May and September of each year. 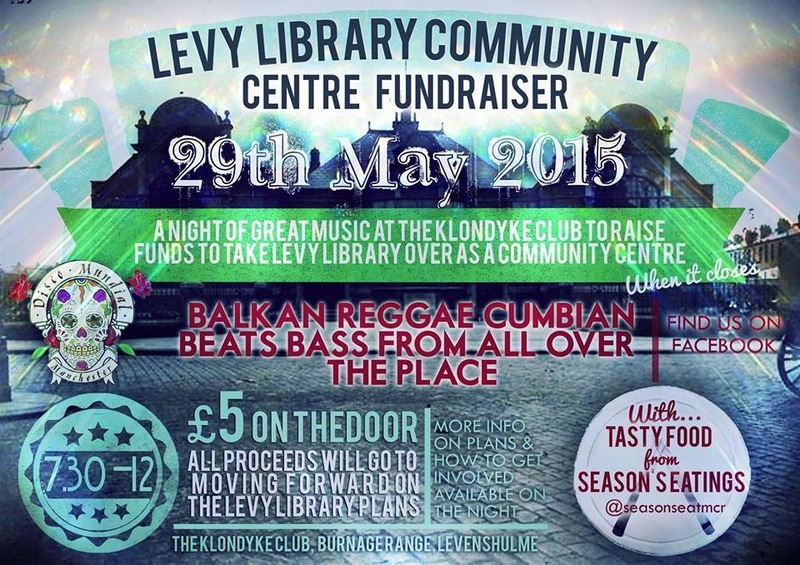 Each association or group, or residents within Levenshulme, will be welcome to attend this. This forum will be chaired by a Levenshulme councillor. Council officers and an Executive Member of the Council will also be invited to attend each forum. This Forum will be held on Saturday mornings, and the first one will be held in September 2014. For the past few years there has been a quarterly meeting called ‘The Ward Coordination meeting’ where Council officers, ward Councillors, residents’ representatives and other Levenshulme organisations such as the Traders’ Association have come together to discuss matters of common concern. These meetings have been the only regular opportunity for the LCA to put Levenshulme residents’ point of view before relevant Council officers. At the end of the most recent meeting in June, the Councillors announced that future meetings would be ‘closed’ – meaning that it would just be officers and Councillors. Residents and all other organisations will now be excluded. Given that none of our current Councillors actually live in Levenshulme, the LCA is most concerned that residents have lost a very valuable voice and that there is no satisfactory alternative being proposed. As an alternative, Councillors say they will be organising forums twice a year at which residents will be able to raise issues concerning Levenshulme which they will then take to the Ward Coordination meetings. We’d very much like to hear what people living in Levenshulme think of this development. The new Levenshulme Library and Baths development on Stockport Road is now ready for public exhibition. There is a dedicated page on Manchester City Council’s website HERE. Plans for the new development will be available HERE from 14th June. Manchester City Council will be investing over £8,000,000 in these new facilities that will dramatically improve services in Levenshulme and serve a wide area of south Manchester. Relocation of users of the Arcadia roller skate rink will happen in tandem with development of the new facilities. A £250,000 investment is being made separately by the Council to enhance, extend and improve facilities for Arcadia users at Ardwick. This commitment to public services in Levenshulme by Manchester City Council at a time of austerity and struggle for many people is hugely welcome. This is also a result of the massive local campaign to save Levenshulme’s existing Baths and Library from closure which was a huge success for the people of Levenshulme. The creativity, dynamism, imagination, persistence and dedication of Levenshulme residents and careful collaboration with local councillors and the council is really showing dividends now. Levenshulme Community Association will continue to consult with residents and work with the council to ensure the best possible outcome for the people of Levenshulme. A press release from Manchester City Council is expected tomorrow (Friday 7th June 2014) and will be added here when available. Levenshulme Community Association is pleased to announce an election hustings meeting on Thursday 8th May at 19.30 at St Peter’s Church, Stockport Road, Levenshulme. This is an open public meeting and everyone is welcome. You are cordially invited to come and celebrate with us at our 1st annual general meeting, held at Levenshulme Inspire, there will be live performances from young people, an opportunity for networking, refreshments available and lots of fun. Please RSVP in order for us to confirm numbers. The Levenshulme Community Association now has a new constitution and completely new structure fit for our work and our community. The LCA is now an organisation with groups as members and a clear focus for the future. I’m pleased Peter Naughton, Malcolm Cowen and myself managed to achieve this change with the support of the AGM on Saturday. In the past year we have reached out with a new website and social media and radically reformed the Association. The success of our plan to bring more people into being actively involved in the LCA and refocus the Association as a network to share ideas, experience and knowledge across all groups in Levenshulme as well as continuing to represent all Levenshulme residents is very pleasing. This places the LCA in a much stronger, more outward looking and effective position than it has been in for many years. I’m looking forward to continuing to work with Peter and Malcolm alongside Beth Marshall, Stuart Fear, Lawrence Hennigan and Aiden Lawler on the new Core Group (managing committee) this year. The AGM of the LCA will be held on Saturday 8th March 2014 at 10.15 in Levenshulme Library. Any items for the agenda should be submitted by Saturday 1st March. You can submit items using the form below to Jeremy Hoad, LCA Secretary. Following a vibrant discussion online about the level of litter in Levenshulme a meeting has been arranged to discuss how people can work together to try and improve our environment and make Levenshulme look more lovely. The meeting will be held at Inspire at 19.00 on Friday 31st January 2014. Residents of Levenshulme will know that in 2014 there will be some big changes at the market, but do you know why? We want local people to help us shape the impact we have on our high street and this Saturday we are holding a forum for you to find out more, share your ideas and ask those burning questions. Saturday 25th January, 6pm-8pm at the Klondyke (1 Burnage Range, Levenshulme, Manchester, M19 2HQ). More information on Levenshulme Market is available on the completely redesigned website HERE. We hope people from as many groups as possible across Levenshulme will come along to raise and discuss any issues and share information. If you have an item for the agenda please notify Jeremy Hoad, LCA Secretary (you can use the contact form on this site). Any agenda items must be received by 17.00 on Thursday 5th December. 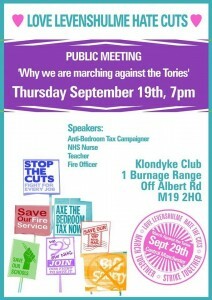 A public meeting organised by the Love Levenshulme, Hate Cuts group. This meeting is linked to the march and rally planned for 29th September during the Conservative Party Conference. NOTE: The meeting is earlier than usual because of the current opening hours of the library. Our first planting event is on Sunday 29th September, starting at 11.30am outside Antiques Village on Stockport Road. Please invite everyone you know who might like to come along. We will be planting herbs supplied by Bud Garden Centre in the planters outside Antiques Village and Trove. These herbs will be available for everyone to harvest next year, our first step in creating free locally grown food for Levenshulme! 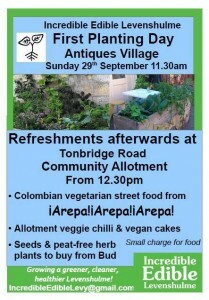 Afterwards there will be food available on the community plot at Tonbridge Road allotments from 12.30, including delicious vegetarian Arepas from Arepa!Arepa!Arepa!, veggie chilli made from allotment veg, and vegan cakes. All available for a small charge. There will also be the opportunity to buy your own peat-free herbs and various seeds from Bud to grow your own at home. Here are some of the local organisations, businesses and groups who’ve shown an interest and want to be involved in Incredible Edible Levenshulme: exciting ‘thymes’ ahead! A new Incredible Edible Levenshulme group has been set up and will be meeting at 14.30 on Wednesday 14th August in Trove on Stockport Road (opposite the Antiques Village). The next community meeting to discuss the multi-million pound redevelopment of facilities in Levenshulme will take place on Friday 26th July at 19.00 in Inspire on Stockport Road. This meeting will be preceded by a ‘planning challenge’ meeting (15.00-17.00 at Inspire) where users of the Arcadia Sports Hall will present their plans on how all facilities can be fitted onto the Stockport Road site. The council’s proposal is to build a new combined facility containing two swimming pools, a gym, a multipurpose fitness and community room and a full library on the Stockport Road site. The council maintains that it is not possible to retain the old Arcadia building and fit the new facilities on the same site and has proposed that users of the Arcadia are relocated to the Mount Road Sports Hall currently used by the Gorton Boxing Club and the Grange School. The boxing club would be relocated to the new Belle Vue development and the building would be adapted based on the needs of existing Arcadia users using funding from the £6.5m allocated to the new Levenshulme facilities. The meeting on the 26th July is an opportunity for Arcadia users to challenge the council’s proposals and present plans / proposals that they have developed. Come along and discuss the Baths, Library, development of the new facilities and Arcadia. And raise anything else you want to about what’s happening in Levenshulme. We’re taking a week off to have some well deserved fun at the launch of the Levenshulme Food and Drink Festival on Friday 21st. 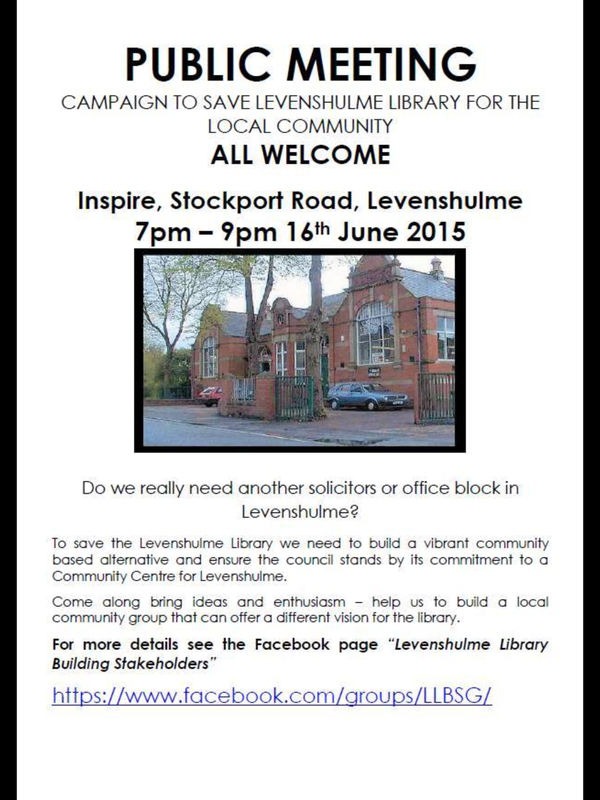 There will be a public meeting at 19.00 on Monday 10th June at Inspire on Stockport Road regarding Levenshulme Library. The meeting will be attended by Neil MacInnes, Head of Libraries, Information and Archives, who will make an announcement about the future of our library jointly with councillors and community members who have worked hard to find a solution to prevent the closure of our library. You are invited to attend the AGM of the Community Association at Levenshulme Library at 2.00 pm on Saturday 23rd March. Nominations are sought, with seconders, for the roles of Chair, Secretary and Treasurer. There will be a public meeting on Monday 18th March 2013 @ 19.00 at Inspire with Councillor Jim Battle (Deputy Leader of Manchester City Council) to discuss the future of Levenshulme Baths & Leisure Centre. LCA facilitated a public meeting with Cllr Jim Battle who said he was impressed by the energetic actions of the campaign group who have been protesting about the proposed closures of both the Baths and the Library. Councillor Battle confirmed that £6.5 million has been set aside from capital receipts of the Council for a new-build Joint Service centre which is due to be built by 2015 at a location somewhere in Levenshulme. He could not confirm where this is to be as the land was still under negotiation. He was asked to shepherd the negotiations for keeping open our vital and only public buildings until the new facilities are ready to use. Two teams of campaigners have made recommendations about possible sources of funding which COULD be used to keep them open, but the use of Public Health money for the Baths and wider considerations about the whole city’s Libraries will be discussed in a series of Council meetings leading up to an Executive Committee meeting on 13th April, where final decisions about how to deal with the latest round of cuts will be made. The Campaign group raised the serious impact on the area if either or both these public facilities are closed before the new one is opened. We committed to keep up creative efforts to convince the Council to respect these needs of Levenshulme people.